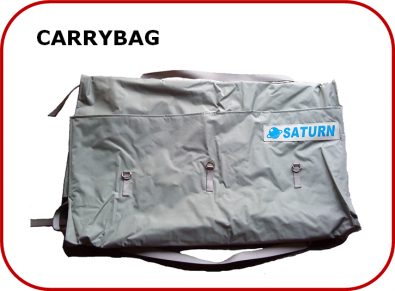 Carry bag is great for carrying your boat while traveling. Bag size approximatelly - 43x22x10''. Made from D600 fabric. "Bought the carry bag last week and it is perfect for carrying and storing our 12 foot Z-Ray! We did local pick-up and everything was super smooth! Thank-you!"